ScaleSafe is a unique scale stick engineered to prevent corrosion and lime scale (calcium carbonate) build-up. It prevents scaling caused by hard water minerals and controls straining caused by the precipitation of iron and manganese. 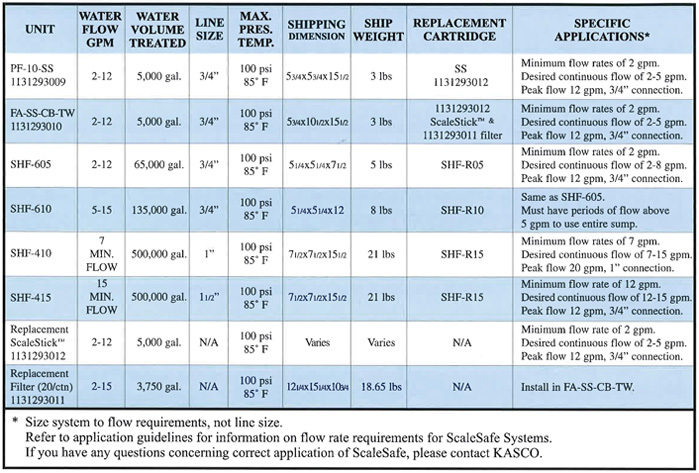 ScaleSafe uses the same principles of preventing corrosion and scale build-up used by most municipalities. The system feeds a controlled and consistent amount of ScaleSafe into the water stream through a specifically designed media delivery head (MDH). 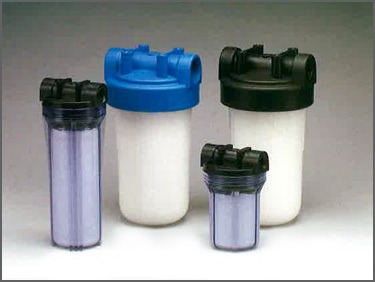 This diverts water into the cartridge sump while dissolving a predetermined amount of ScaleSafe. This system allows for accurate feed rates and predictable treatment volumes. The MDH is designed to treat water flows from as low as 1 gallon per minute to as high as 50 gallons per minute. The main advantage of ScaleSafe is that it's not affected by high temperatures, retaining its full ability to alter the shape of scale causing minerals. This provides the best scale prevention system available. In addition, ScaleSafe removes existing scale formed in pipes and water feed equipment while providing corrosion control in high temperature equipment. Compared to the cost of standard water softening equipment, ScaleSafe provides a cost-efficient corrosion control and scale prevention system at a fraction of the cost. Since ScaleSafe systems work on water volume and not time, there's no waste. The ScaleSafe system requires no electricity, maintenance, or guess work. It acts as a scale inhibitor by distorting the almost perfect cube shape of calcium carbonate as it precipitates out of solution. It sequesters (binds up) the scale preventing the precipitation and formation of scale deposits. It combines with calcium carbonate in the water forming a protective film on the inside of pipes and water fed equipment.